Labor Day marks the unofficial end of summer, but as I’ve still got something like 17 days before Autumn I’m going to continue to eat ice cream sandwiches – and tell you about them. 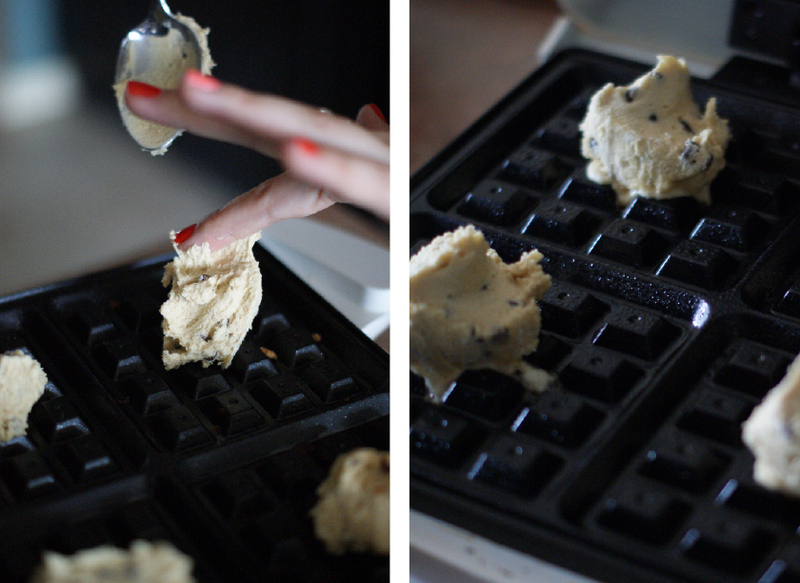 Waffle iron + chocolate chip cookie dough + ice cream = the best ice cream sandwich you’ll ever eat. 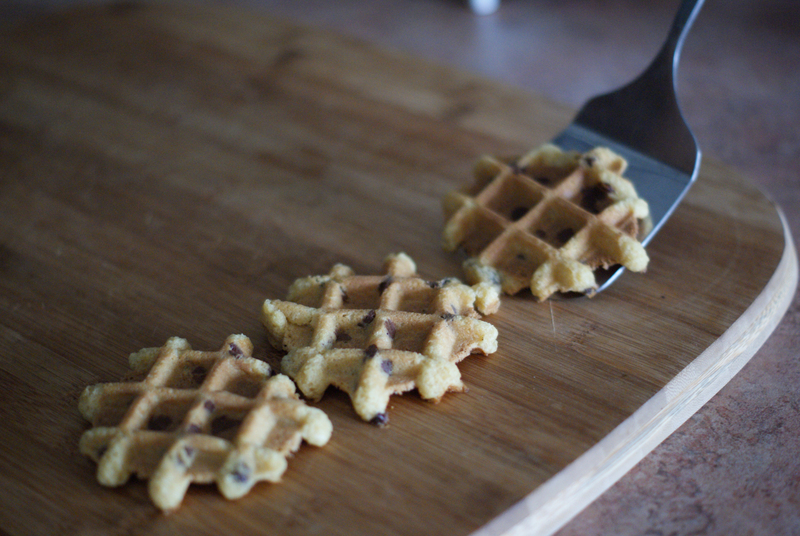 Make a regular batch of chocolate chip cookie dough, then bake on the waffle iron. 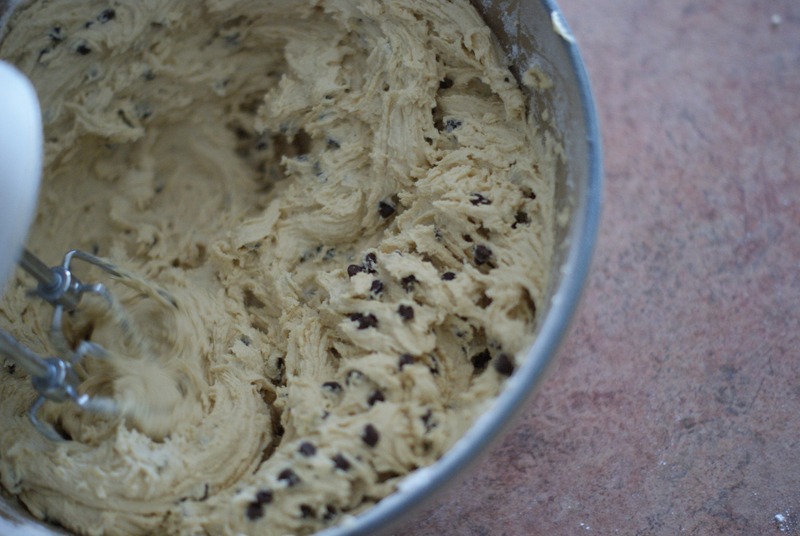 Baking the cookies this way makes them a little bit crunchier and perfect for sandwiching ice cream. 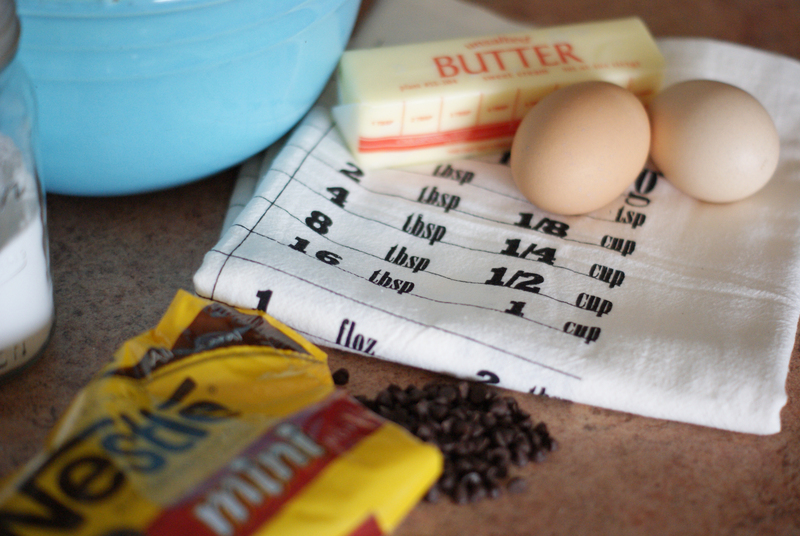 Add a scoop of your favorite flavor, and voila! 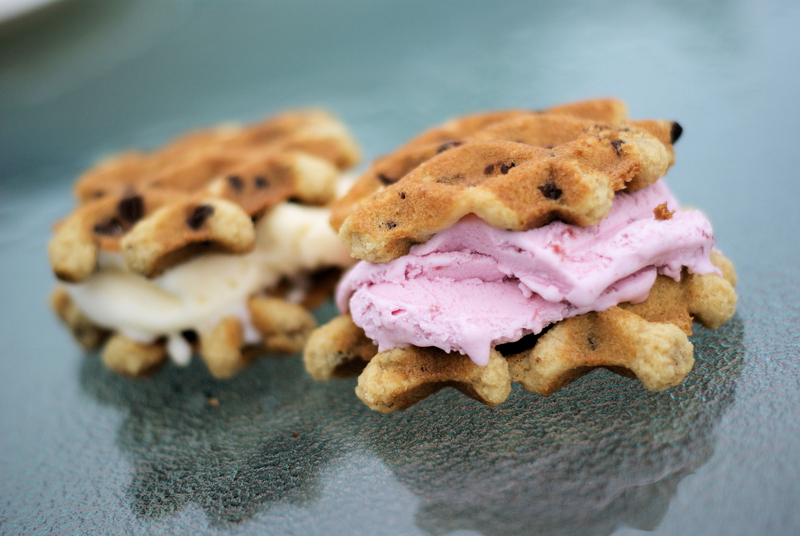 Oh yum… I’m all for anything with ice cream!